CHAMPAIGN – State Senator Scott Bennett (D-Champaign) is condemning Governor Bruce Rauner’s baseless remarks against Champaign-Urbana. During a radio interview in Chicago last Friday, Rauner criticized Champaign-Urbana’s workers and transportation systems. Bennett is surprised and disappointed in Governor Rauner’s claims against the workforce. 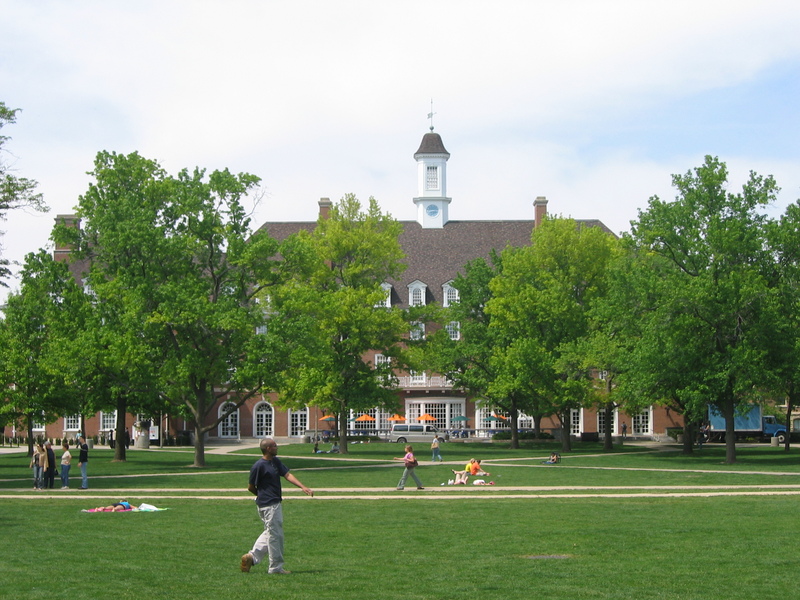 Recent reports also show that Champaign is one of the fastest growing cities in the state and is outperforming neighboring cities in employment and wage growth, according to data compiled by the state of Illinois. Bennett also said that the governor’s comments are harmful to the effort to attract more jobs into downstate communities and in Illinois. 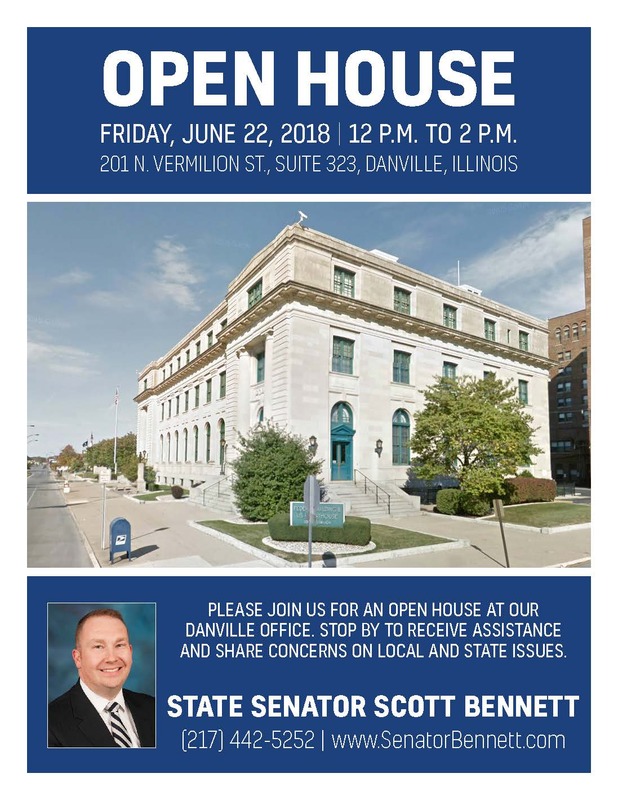 DANVILLE – To provide assistance and listen to concerns on local and state issues, State Senator Scott Bennett (D-Champaign) is hosting an Open House at his new district office in Danville. Free and open to the public, the event is from 12 p.m. to 2 p.m. on Friday, June 22 at the former federal courthouse on 201 N. Vermilion Street, Danville. 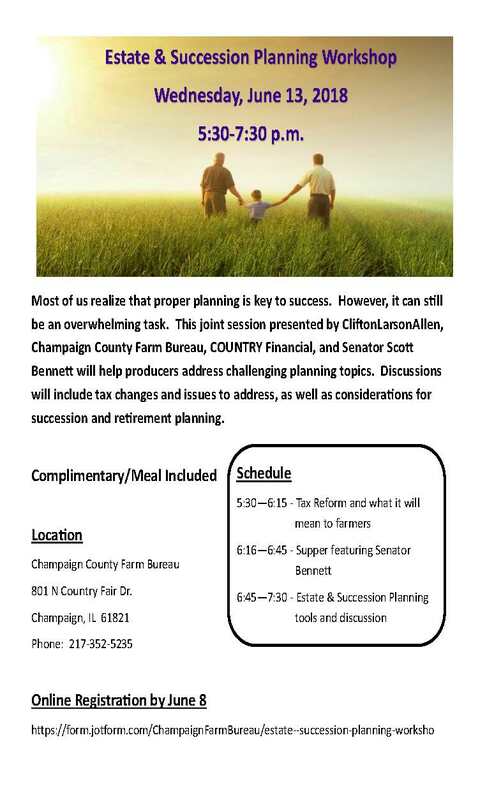 CHAMPAIGN – State Senator Scott Bennett (D-Champaign) is hosting an Estate and Succession Planning Workshop with CliftonLarsonAllen Champaign County Farm Bureau and COUNTRY Financial on Wednesday, June 13. 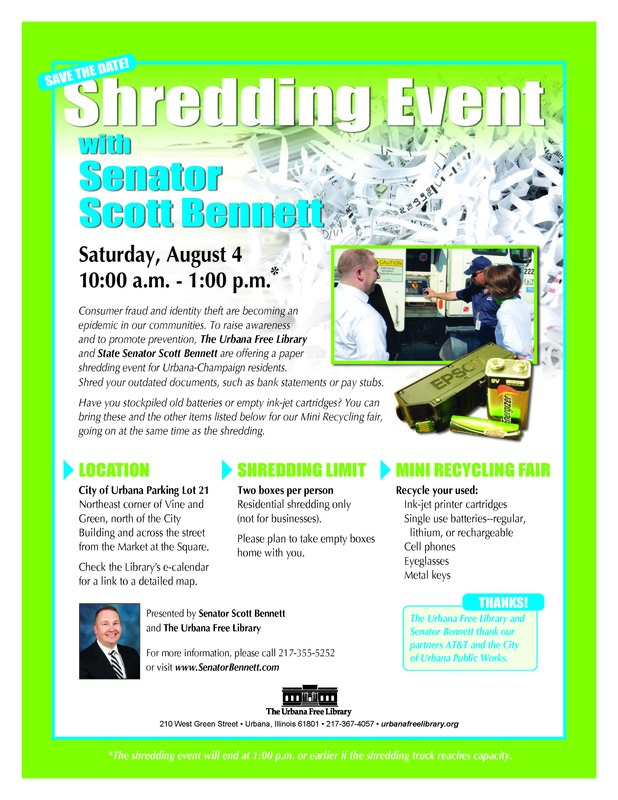 The joint session will be held at the Champaign County Farm Bureau (801 N Country Fair Drive) from 5:30 p.m. to 7:30 p.m. Discussions will include tax changes and issues to address, as well as considerations for succession and retirement plnning.